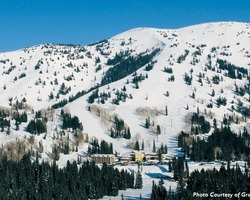 Your Source For Ski Resort Deals. 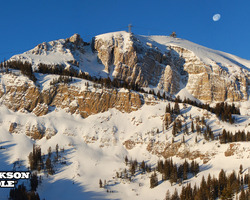 Ski vacation packages to Wyoming. Take advantage of our deals, discounts, the best planning advice, or create your own ski / snowboard package. Just 40 minutes off Jackson Airport and you're on the "Crown Jewel" of the Rocky Mountains in the Western United States. For the past 40 storied years, Jackson Hole Mountain Resort has made marks to the making of the most legendary skiing and snowboarding. Brace yourself for the most exhilarating day out on the slopes with a vertical drop of 4,139 feet and 2,500 acres of legendary inbounds terrain. Make your own mark in 116 multi-level trails and see the town's spectacular views aboard the resort's newest "high-tech" 100 passenger Aerial Tram. Create your own winter history in Jackson Hole's two distinct mountains in the heart of the Tetons-The Rendezvous and Apres Vous!